Does your Highland home need an inground pool? You’ve probably dreamed of one for a long, long time. Inground pools are coveted, most known for their customizability and luxury. When you build an inground pool, you’re given incredible benefits, like the ability to create your dream pool with ease. And when you’re investing in something so important, so beautiful, you need someone who will give you the perfect service. Rhine Pools can provide that service. Here at Rhine Pools, we understand that an inground pool is an incredible investment that will have you cautious about construction. 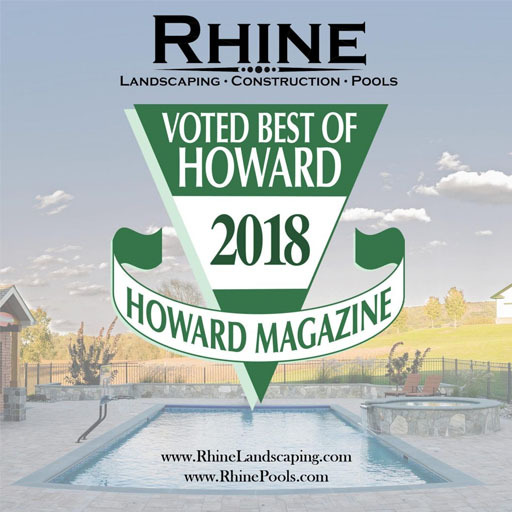 We aim to ease that stress, so your Highland home can have the best inground pool installed, and so you can achieve that dream pool you’ve always wanted. Have you fantasized over a heated pool? A quiet, tucked away cove with benches? Something as intricate as a natural waterfall, or a slide integrated into the landscaping? Well, Rhine Pools doesn’t shy away from anything. If you need an inground pool, and you’ve got a particular vision, we’ve got you covered. Inground pools are great for several reasons. For one, customizability is endless. Adjust the design for your family, to your wants and needs, and match it to your dreams. With this level of luxury, you don’t want to skimp out on poor pool builders. When you hire Rhine Pools, you know you’re working with professionals. We know how to build pools–that’s the simple truth. So many pool building companies out there promise lies. They can’t build properly, they don’t have enough manpower, and they will hit you with hidden fees when you least expect it. Rhine Pools is strictly against this business model. An inground pool could be the biggest and most exciting investment of your life. We know this, and we want to make the experience as pleasant as possible. What’s the point of investing in something so beautiful and luxurious if you hire someone who does it incorrectly? With Rhine Pools, your inground pool for your Highland home is going to be spectacular, no matter what. Rhine Pools will build your inground pool for your Highland home today! Are you ready to get the ball rolling? Design and build your custom pool with the very best team in Highland. Rhine Pools is ready to listen to you, work with you, and succeed with you. Give us a call today at 410-442-2445, and we’ll get started on your dream pool together!